Patient Zero is a movie about a global pandemic that has changed humankind throughout the world. Most of the world becomes infected, which makes them violent and causes them to speak an entirely different language. One man discovers that he has the ability to speak the same language as the infected. He and the only survivors begin a hunt to find Patient Zero and the cure for the infection. IT is a classic book written by the Master of Horror, Stephen King. The story follows seven children who find a monster living in a storm drain, who is a man dressed as a clown named Pennywise. The story was first turned into a mini-series in 1990. Stephen King fans everywhere have been dying to have a new movie made. In 2015, IT was in the works, but the producer backed out. However, after several months passed, the movie got started again and now it is set to release in 2017. Friday the 13th is one of the longest running horror franchise. Just like Halloween, many different versions of the movie have been made throughout the years. The very first instance of the movie was the original, which was released in 1980. The sequel to the movie was released in 1981. A few others have come out since then, including Freddie Vs. Jason, which included a fight between the star of Friday the 13th and the star of Nightmare on Elm Street. A remake of the original Friday the 13th is finally hitting the big screen, and horror fans are on the edge of their seats waiting for it. The movie is set to release in January of 2017. In 2008, the movie Strangers brought quite a scare to Hollywood. Scott Speedman and Liv Tyler played a couple who were terrorized by masked strangers while trying to relax in their vacation home. Strangers 2 follows the same plot, as the masked strangers return. Liv Tyler is rumored to return along with the three assailants. However, most of the information about the movie is still a mystery. Along with the same cast, the movie includes some of the same crew, including Executive Ryan Kavanaugh. Flatliners was a huge hit when the original came out in 1990. The film featured medical students who decided to perform experiments on each other. The experiments involved causing each other to have a near-death experience, which would trigger memories of past tragedies. Unfortunately, the consequences of these experiences spun out of their control. The included Billy Baldwin, Kiefer Southerland, Julia Roberts, and Kevin Bacon. Flatliners was beloved but mostly forgotten about until now. Hollywood decided to revamp and update the movie to current Hollywood standards. The new cast includes Juno’s Ellen Page and Nina Dobrev from Vampire Diaries. The biggest surprise is that Kiefer Southerland will be returning as Nelson, the same character he played in the 90’s flick. In October of 2016, Death House is hitting theaters everywhere. The film is about an exclusive tour going on inside of a secret prison that was coined the Death House. It’s located in Area 51 and ran by the government. It houses the most vile and evil inmates in the entire world. When two agents realize the inmates aren’t locked up, they begin fighting through the labyrinth of the prison and its horrors as they’re pursued. Saw is a franchise that first began in 2004. Since the debut, six other installments have been released. The movies depict a serial killer of a different kind named Jigsaw and his puppet, Billy. He kidnaps people who he feels have wronged others in the worst ways. He puts them in buildings that turn into deadly mazes and makes them fight to the death to survive. Jigsaw may be dead, but the puppet is alive and well. You can find out what Saw Legacy has in store for you in 2017. Insidious is a terrifying paranormal movie that came out in 2010. It featured a family who was seeking help for their son who was stuck in a coma after a horrible accident in their attic. Since the first Insidious, two more chapters to the story have been released. In 2017, prepare for Insidious Chapter 4. The plot is still unknown, but it seems to be worth the wait. 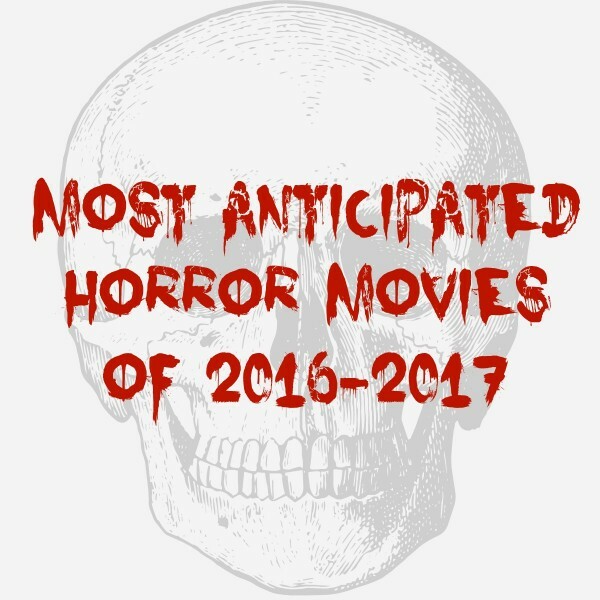 Horror movies are something that will never no out of style. Dedicated fans love the genre, even when the movies aren’t quite up to par. However, the movies coming out at the end of 2016 and throughout 2017 look incredible. Make sure you check these out so you don’t miss movies that are sure to go down in history.